Car burglary is one of the most common crimes today. A criminal is unlikely to walk past a car when there are valuables inside, or when a car looks invitingly unprotected. Most car owners will be content to continue using the security system that comes with a new car. Unfortunately, criminals can beat most of these systems, which necessitates installing extra security to beat car thieves. Here are some tips to stop car thieves in their tracks. Car manufacturers are not very concerned about car security and many standard car locks are beatable. If your car is often parked in a high crime area, it is a smart idea to overhaul the stock locking system in exchange for more robust car locks. Installing high-security locks will beat car thieves 90% of the time because car doors are the preferred points of entry by car thieves. Make a habit of locking your car even if you are stepping away for a short time. This is an old-fashioned security device but one that is almost impossible to beat. One end of a pedal lock hooks onto the steering wheel while the other locks onto the gas pedal making both immobile. The car cannot be moved by jump-starting or hotwiring. Keeping the locks on your car well-maintained is perhaps the best way to ensure that your car’s locks remain robust and deterrent. 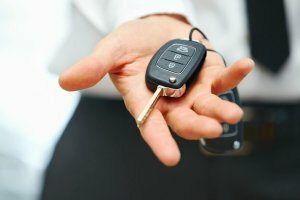 A professional car locksmith is able to diagnose any lock problems like loose locks and rectify them or make a recommendation for new ones. This seems like a common thing to do but it is surprising that there are many cars without alarms. The alarm is linked to the locking system such that any attempts to tamper with the locks causes an alarm alert. An immobilizer will prevent a car’s engine turning on without the correct key. It will easily stop car thieves from jump-starting the car or hotwiring it. A handbrake is very effective against towing. Some criminals will prefer towing a car especially when they see that the locking system is difficult to beat. By towing it to a hidden place, they are able to vandalize the car at will while taking their time. Towing locks your car wheels and prevents towing. A combination of two or more of these security measures will make your car very unattractive to car thieves. The good thing is that these security devices are more accessible and affordable than ever before.